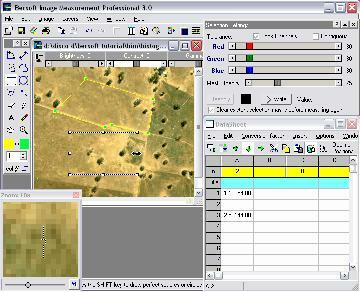 Bersoft Image Measurement is a Windows application that makes it easy to acquire, measure, and analyze digital images. To measure an image, simply click on the image to define control points. The program will automatically perform measurements, calculate areas, and generate statistical analysis. All measurements are drawn over a special measurement layer, so the original image is not altered in any way. The program supports DICOM, JPEG, TIFF, and most popular image formats (see Supported file types). The twain interface lets you capture images directly from TWAIN scanners and digital cameras. It's easy to export images in RGB, HSV, or 8-bit channel format, or even generate a matrix with the decimal or hexadecimal values of the image pixels.